After execution of 66 Kuka Sikhs at Malerkotla and deportation of Satguru Ram Singh in January 1872, onus fell on the shoulders of younger brother, Satguru Hari Singh. A 24hour police presence was introduced at Sri Bhaini Sahib to keep strictest watch on the movement of Kuka Sikhs in and out of the Gurdwara and Sri Bhaini Sahib. The behavior of police was most irritating and all possible restrictions were imposed. Under this situation, the foremost challenge before Satguru Hari Singh was to reconstruct the organization and keep going the momentum of the freedom movement. Satguru Hari Singh's calm, composure and deft handling of the situation kept up the morale of Namdhari Sikhs. This made Kuka Sikhs have a deep desire and a strong will to visit Sri Bhaini Sahib despite difficult conditions created by British rulers. Sometimes they would visit him in disguise or slip inside the Gurdwara under the cover of darkness or Satguru Hari Singh would meet his Sikhs in the fields outside the village. The important persons would discuss with him problems of the Kuka Sikhs and the way to continue the movement. Satguru Hari Singh continued the struggle for freedom and also successfully maintained relations with the foreign emissaries. These exerts were distinct from those connected with Kashmir and Nepal. The aim was to acquire and utilize the armed might of Russia for the expulsion of the English rulers from India. The British intercepted two letters in 1883, one written by Satguru Hari Singh to the Russian Governor of Turkistan and the other from Russian Governor of Katta Kurgham to Budh Singh (Satguru Hari Singh). The first letter was in Gurmukhi and second was in Persian and bore the seal of Russian governor. There is no doubt that the leadership provided by Satguru Hari Singh went a long way in repairing the heavy damage caused by the British. But by his efforts of continuously maintaining contacts with Satguru Ram Singh in Burma and receiving his Hukamnamas was like elixir and a high morale booster for the Sikhs. The most important factor why Satguru Ram Singh Ji had been exiled and sent out of India was that there should not be no contact whatsoever between him and his followers. To this the British failed miserably, because meticulous and perfect handling of all these affairs of sending and receiving the emissaries regularly by Satguru Hari Singh was flawless. Despite tyranny and repression by the British, Satguru Hari Singh Ji placed emphasis on observance by the Kuku or Namdhari Sikhs of a high standard of spiritual and moral life. Devotion to Adi Granth Sahib, meditation, memorizing the Holy Scriptures, self discipline, purity, piety, charity, hospitality, generosity and social service were particular virtues to be abided by all. The social evil of female infanticide, selling and bartering of girls were strictly prohibited amongst his Sikhs. 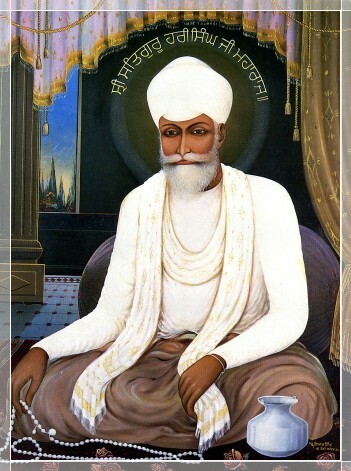 Satguru Hari Singh's polite, persuasive style had everlasting impact on the sangat, which continued the freedom movement and maintain the high spiritual and moral values of life. In 1899, severe drought gripped large part of north India. People from Rajasthan and Beegarh areas heard about Sadavarat Langar (Round the Clock free Community Kitchen) at Sri Bhaini Sahib being run by Sri Sat Guru Hari Singh Ji. They thronged Sri Bhaini Sahib along with their children and cattle for food and fodder. Deputy Commissioner of Ludhiana visited Sri Bhaini Sahib and offered 100 Murabas (2500 Acres) of land to Sat Guru Hari Singh Ji for the Langar. 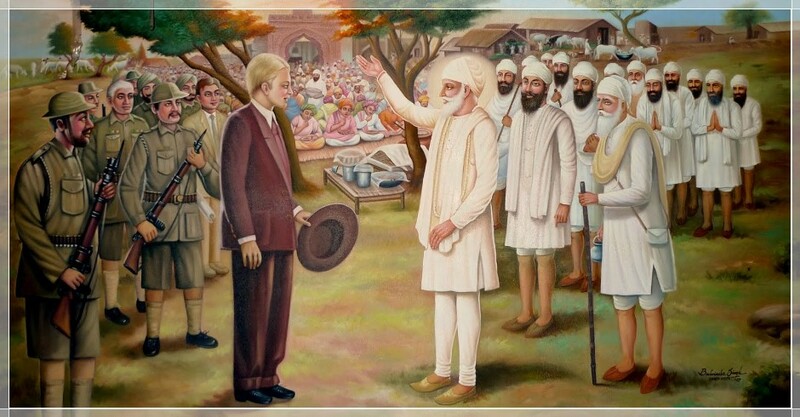 Sat Guru Ji firmly refused his offering saying that this land belongs to us. Give land from Britain if he could. The Deputy Commissioner had no answer.